I cannot actually believe it’s February already! I am working flat out on two new shows- Off The Rails with my bessie Fearne Cotton, and a fun new cooking show called Gok’s Luchbox! – Long hours but lots of fun!! This month I want to give the charity ELOP (East London Out Project) a mention. They do a fantastic job looking after the wellbeing of LGBT community members in East London, including counselling, support groups and generally providing a voice for the community. 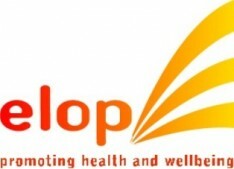 ELOP has been supporting for 21 years and makes a difference to over 5000 people a year. If you would like to help, please donate here.